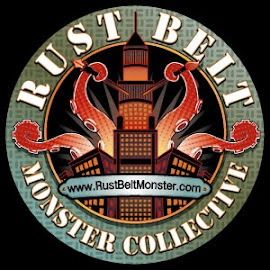 Rust Belt Monster Collective: 500th Post! It has been a wild ride since we began in 2012 and it looks like we have plenty to show for it. 500 may seem like a lot, but its just the beginning. We will continue to share our creations on a regular basis and engage with the community. We cannot thank you all enough for your support of our group. Thank you.